From the ancient traditions of kagura to the modern Broadway musicals performed by Gekidan Shiki, Japan has a vast array of options for those interested in theater and the performing arts. 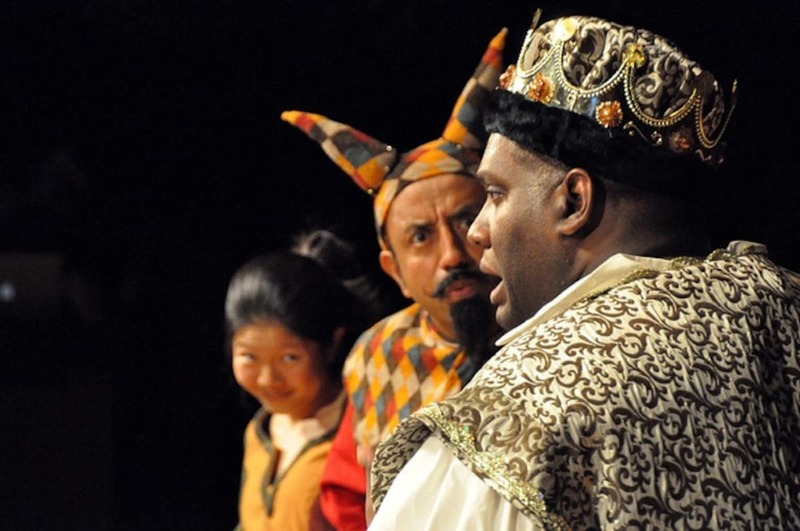 Here are eight great ways to engage the local stage! There are a number of English community theater groups in Japan, many of which produce professional-quality plays and musicals. Runs tend to be short—usually just a few days or even a single weekend—so you have to keep your eye open and know what to look for. Founded in 1896, Tokyo International Players (TIP) is the largest English theater group in the Tokyo area, typically producing three or four shows per year on different stages in the city, as well as offering a handful of second-stage productions. Other groups in the Kanto area include Yokohama Theatre Group (YTG), Black Stripe Theater (BST) and Tokyo Artistic Theatre Ensemble (TATE). If you have little ones, you may also want to check out Tokyo Theatre for Children (TTFC). The schedules for many of these groups, as well as Tokyo-area comedy and improv troupes, can be found at Tokyo Stage. Outside of the Tokyo area, the Nagoya Players have been active since 1975, typically producing two plays per year. Nameless Theatre and Kan劇 Theatre (Kangeki Theatre) are two other offerings in the Aichi Prefecture capital. Around Kyoto, you can check out KyoRyuKan, which tends to be simpler in scale and more dance-based. Rakugo is a kind of comic storytelling that sits on the crossroads between stand-up comedy and a one-man show. Each performance begins with a self-introductory narrative that's just like a stand-up comedian's opening monologue, which will gradually transition into a setup for a humorous story—some of which are new, and some have been beloved for generations. The storyteller remains kneeling the entire time, and can only use a tenugui hand towel and sensu fan as props, meaning quite a few ingenious techniques need to be used to create the various characters in each scenario. You can use the calendar function at Hanashi.jp to check for rakugo performances pretty much anywhere in Japan, with a particular focus on Tokyo and Osaka. Since much of the humor is based on puns, you have to have very strong Japanese to follow along. That said, there are a handful of storytellers who perform rakugo in English or a combination of English and Japanese, with the most notable being Katsura Sunshine, who's the first formally trained foreign-born rakugo-ka in a century—and also hilarious! 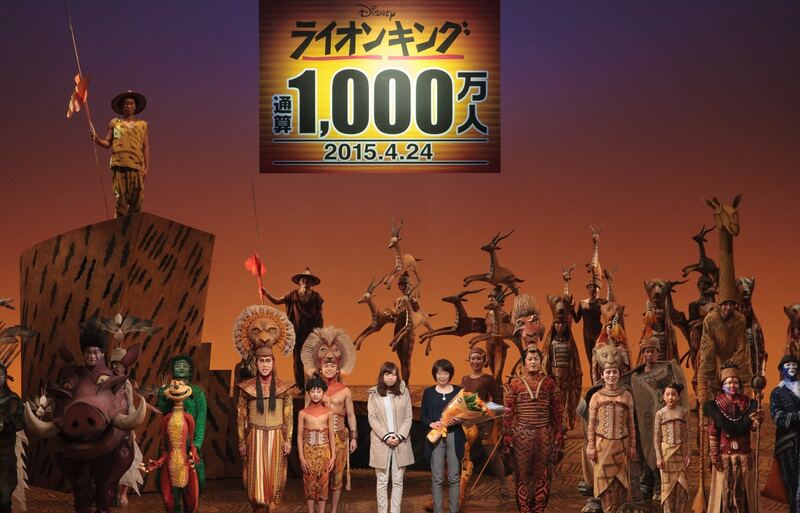 Gekidan Shiki, known in English as the Shiki Theatre Company, is one of Japan's largest theater companies, presenting Japanese-language productions of major Broadway musicals from Wicked and Cats to Mamma Mia! and the perennially popular Lion King. The troupe has a number of permanent theaters, with the three main Shiki theaters found near Hamamatsucho Station in Tokyo. Two more are located near Shimbashi and Oimachi Stations, respectively, and the company has other permanent theaters in Sapporo, Nagoya and Osaka. Touring shows can regularly be seen in a number of locations as well, including Shizuoka, Kyoto, Hiroshima and Fukuoka. You can reserve tickets in English over the phone, or in Japanese using the website. All performances are in Japanese. Founded in 1913, the Takarazuka Review is an all-female musical theater troupe known for its lavish costumes and melodramatic performances. Based out of Takarazuka City on the eastern side of Hyogo Prefecture, productions range from Japanese adaptations of Western musicals to stories taken from Japanese folktales and even manga, most famously The Rose of Versailles and Rurouni Kenshin. Most shows are followed by an elaborate song and dance number that can be seen on the same ticket. The Takarazuka Review has two permanent theaters: the Takarazuka Grand Theater in Hyogo and the Tokyo Takarazuka Theater near Yurakucho Station. You can get tickets to both below in English, but be aware that performances are only in Japanese. Noh theater developed in the 14th century, emerging hand-in-hand with a form of comedic, interstitial theater called kyogen. Noh is performed in a very stylized fashion, with actors wearing masks and singing in monotone as they perform slow, ritualized movements to music. Kyogen, by contrast, is a spoken comedic play focusing on the day-to-day lives of commoners, performed between acts of the more high-minded Noh drama. Nogaku, the term for the two arts combined, was recognized as a Masterpiece of the Oral and Intangible Heritage of Humanity by UNESCO in 2001, and inscribed as an item of Intangible Cultural Heritage in 2008, along with kabuki and bunraku. A good place to see Noh is the National Noh Theater southwest of Sendagaya Station in Tokyo, which also holds periodic Noh workshops specifically designed for foreign tourists. Other good options are the Otsuki Noh Theatre in Osaka and the Nagoya Noh Theater in Aichi. In addition, a number of shrines and temples across the country also have outdoor Noh stages—including Hiroshima's iconic Itsukushima Shrine—though performances are infrequent and tickets can be very hard to get. Bunraku, traditional Japanese puppet theater, is a serious art form aimed at adults that largely evolved out of Osaka during the Edo Period (1603-1868). A bunraku puppet is about half the size of a human being, and operated by three people who dress all in black but are otherwise in clear view of the audience. The head puppeteer controls the head and right hand, while the other two puppeteers operate the left hand and legs. The story is narrated in a form of chant called joruri, and accompanied by the music of shamisen. Along with Noh and kabuki, it has been recognized by UNESCO as a piece of Intangible Cultural Heritage. While bunraku performances can sometimes be seen at the Tokyo National Theater, the National Bunraku Theatre in Osaka (below) offers performances for beginners that are more accessible to those who don't speak Japanese. Kagura actually predates Noh theater, and was inspired by the origin myths of Japan. Tied to Shinto rituals, the modern version uses lavish costumes, oversized masks, traditional instruments and dance-like movements to recreate the stories of Shinto deities and legendary heroes. It's particularly prominent in western Japan and Kyushu, with Hiroshima CIty and Miyazaki Prefecture's Takachiho area being great places to catch a staged performance. More traditional outdoor performances can also be seen on the occasions of special events at various shrines around the country. Hayachine Kagura, the collective name for two versions of kagura developed around Hayachine Shrine and Otsugunai Shrine in Hanamaki City, Iwate, was recognized as a piece of Intangible Cultural Heritage in 2009. Kabuki is believed to take its name from the verb kabuku, which means to lean or to be unusual—though the three kanji that make it up, 歌舞伎, mean sing, dance and skill, respectively. Marked by stylistic performances and elaborate makeup, kabuki developed during the Edo Period and has continued largely unbroken to this day. A kabuki performance is a great way to spend a day indoors. Unlike a Western theater experience, which will last up to perhaps three hours, a kabuki performance will typically start before noon and run with periodic breaks until evening, with scenes from multiple plays of varying lengths strung together throughout the day. You can get single-act tickets in some theaters, but you'll likely have to wait in line for them. And seats are not only limited, you may end up standing at the back of the room. The famed Shochiku group runs a number of permanent kabuki theaters, including the Kabukiza Theater in Ginza, Shimbashi Enbujo Theatre and Theater Cocoon in Shibuya (all in Tokyo), as well as the Kyoto Minamiza Theatre and the Osaka Shochiku-za Theatre. Some performances allow you to rent tablets that will provide English subtitles or headsets offering the plot and other interesting information as the action happens onstage. You can register to order tickets from the various theaters at the link below. If you're looking for a lighter commitment, you can see introductory kabuki performances at the Kokuritsu Gekijo (National Theatre) near Hanzomon Station in Tokyo, with tickets available through the phone in English. Kabuki was inscribed on UNESCO's first Intangible Cultural Heritage list in 2008 along with Noh and kagura.